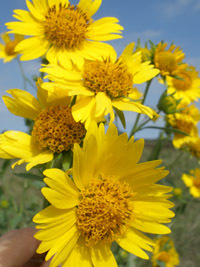 Also known as Golden Crownbeard, the Cowpen daisy is an annual that loves sandy and disturbed soils. 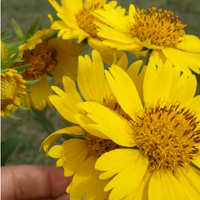 It has many branches covered with large yellow blooms. 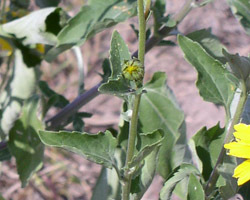 It is one of the larval food plants of the bordered patch butterfly (Chlosyne lacinia).